This issue of NEU is entirely dedicated to one of the most important cultural and political phenomena which we have known during the last years. 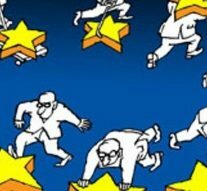 We will try to understand which consequences this new doctrine will imply on the different policy ambits considering a scenario in the next European elections which imply a profound change in the composition of the parties in the European Parliament. Will there be a revolution? Is EU going to survive to it?